Vigor Enterprise announced its partnership with the renowned Human Resources services company Swiss Nova Global based in Canada with a 3-day Certification program – Nova certification – designed for the Knowledge Club ™ 2016 Corporate Members from 25th to 27th of April at Jumeriah hotel. This exclusive invite-only event provided coaches, trainers and human resources professionals with frameworks and dynamic methods that enabled them to bring added value to the improvement of the performance of themselves, their teams and their organizations. 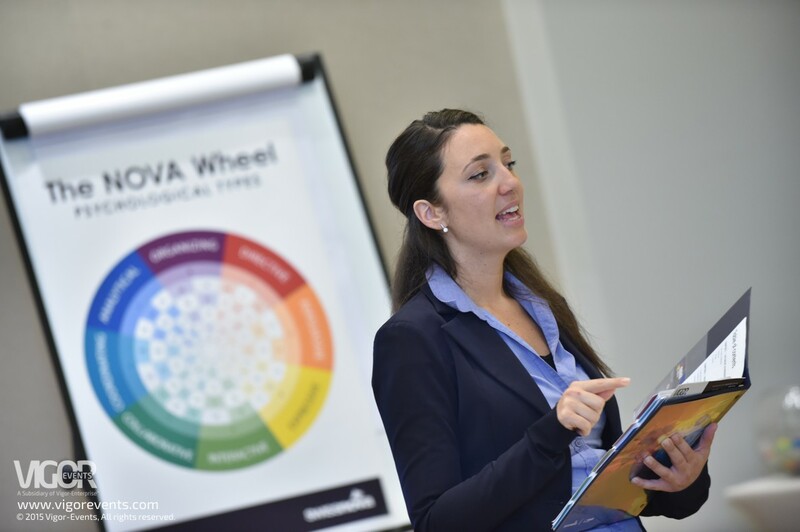 The Nova Concept is a unique and comprehensive approach to structure and optimize all forms of personal and organizational effectiveness. Its proprietary tool provides information on behaviors, skills, psychological types and motivations of a person. It also helps to highlight the “natural style” of a person, whatever his environment and his “style adapted” expressed in response to the environment. to find out how you can bring this highly effective tool to your organization.